Please Scroll Down past the Trump Las Vegas Photo Gallery & Hotel Condo info to see all Trump Las Vegas MLS Listings for Sale. Fully furnished, finely appointed, and oh so luxuriously finished, the “Trump Las Vegas” studios, one bedrooms, and very posh penthouses for sale set the bar for Luxury Hotel-Condo living just off the Las Vegas Strip. 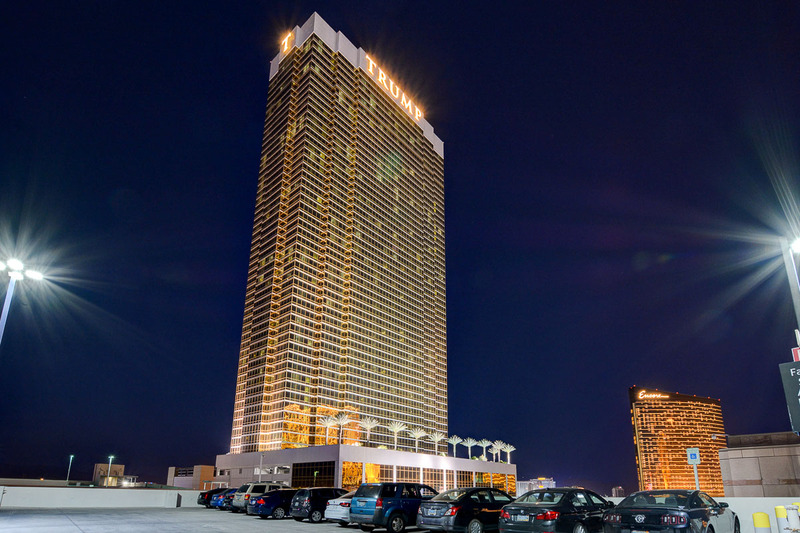 Trump Las Vegas Condos can be placed in the on site Trump Hotel Rental Program when not in use. The Top Floor is level 64. Trump Las Vegas towers above the other high rises in Las Vegas. All Parking is Valet. Tour Trump # 4511 for Sale. The photo above is of the Lobby Chandeliers in Trump Las Vegas Hotel-Condos. They are modeled after the ones in Mar-A-Lago. The Trump Las Vegas Penthouses reside on floors 60-64. Trump Las Vegas has a special elevator core dedicated to the upper floors and to the penthouses. I always note when in Trump Tower, that the elevators are the smoothest and speediest in Las Vegas. Trump Las Vegas Penthouses are available fully furnished and appointed. A few of the penthouses have been personalized by the owners. These cannot be placed in the on site rental program. Penthouses at Trump Tower Las Vegas are one, two, and three bedroom. The three bedrooms span across the front and rear of the high rise. The views are phenomenal. The Tower is impeccably maintained. When you are in high rises all the time, you realize that the differences. Trump Las Vegas condos are also the only hotel condos to have what we call, “single loaded” corridors. This means that there are not condos on both sides of the hallway, which creates a more private, and quiet high rise living experience. If you are considering buying a condo or penthouse in Trump Tower Las Vegas, we can e-mail you a set of floor plans. The photo below is of a Trump Las Vegas Condo Studio facing South. There is a premium for this view, both when you purchase and when Trump Owner Services rents the condos out on a nightly basis for you. There is no obligation to participate in the rental program. Many owners opt to keep their units as second home, or primary residence. The lavish bathrooms in the Trump Penthouses, feature Onyx showers that are just stunning. The jetted tubs and rain glass shower doors add to the Trump Experience. It’s the extra special attention to detail, from the large art books in each unit, to the valet’s bringing your car to you in the Summer Months with fresh cold Trump Water in your cupholders, to the beautiful Poggen Pohl cabinetry that make these hotel condos a step above all other Las Vegas Hotel-Condos when it comes to sheer luxury. HOA dues are called “Shared Component Fees” at Trump Las Vegas. The actual HOA dues are just about $1/month. The Shared Component Fees are APPROXIMATELY $ 553 per month on the studio unit, and $1077 per month for the one bedroom condos. Reserve fees are taken out of the rental income for each condo at Trump Las Vegas that participates in the on site rental program. These reserve fees stay with the condo and do not get refunded to the owner, when the owner sells. At MGM Signature, the reserve account from the MGM Signature rental program gets refunded to the owner at time of sale. Contact The Stark Team to get started in your Luxury Penthouse & Hotel-Condo buying search in the Trump Las Vegas Tower.We know the ins and outs of the fine details that Las Vegas hotel condo buyers need to know to make an informed purchase decision.